Secretary of State for the Ecological and Inclusive Transition, Sébastien Lecornu, announced preliminary studies to the launch of a tidal energy tender in Paris. The announcement is an important first step and strong message to the sector. 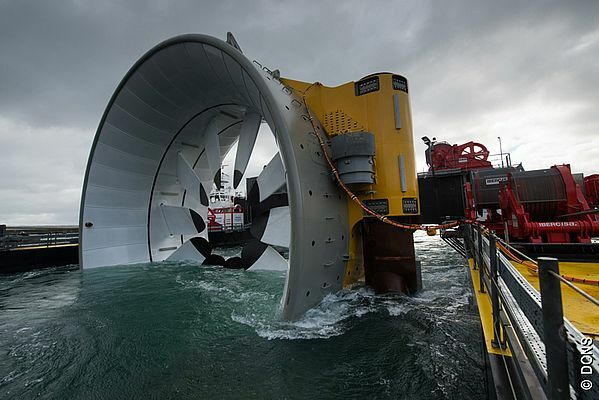 A tender for tidal energy will see France become the global centre of tidal energy manufacturing. The tides in northern France are among the most powerful in the world. Following a decade of R&D development, tidal energy technology is now ready to use this resource. Tidal farms will generate predictable renewable energy, while creating significant jobs opportunities and local economic activity. Speaking at the Colloque Annuel of Syndicat des Énergies Renouvelables (SER), Secretary of State for the Ecological and Inclusive Transition, Sébastien Lecornu, announced the launch in 2018 of preliminary studies of tidal zones in Brittany and Normandy. Rémi Gruet, CEO of Ocean Energy Europe, welcomed the announcement and called for the launch of a tender for tidal energy as soon as possible.